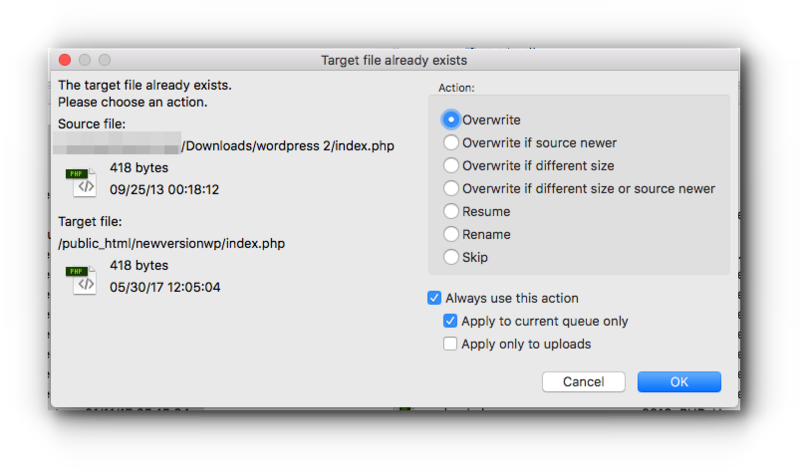 You have two options when updating the WordPress version. Step 3. Click “Update Now” button. Step 4. You will be prompted with the Database Update Required page. Click “Update WordPress Database” button. Step 5. Once the update is complete, click “Continue”. Step 6. You will see more information about the WordPress version. We suggest that you check your website including plugins and themes. The following instructions are more complicated and requires access to the FTP (FileZilla is used in this article). Please follow them carefully and with precaution. Note: The downloaded WordPress version does not contain your current themes, plugins and media files. Step 5. 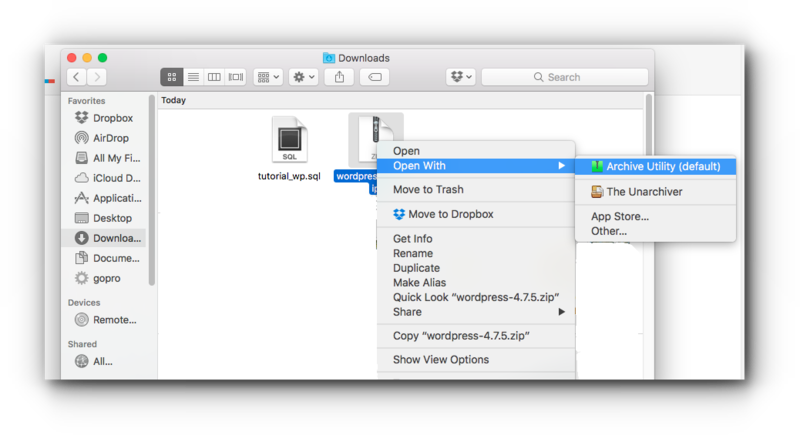 Locate your WordPress folders both for the local and remote site. Step 6. Upload the new version files and overwrite existing ones. Step 7. Wait for the upload to be completed. Step 8. 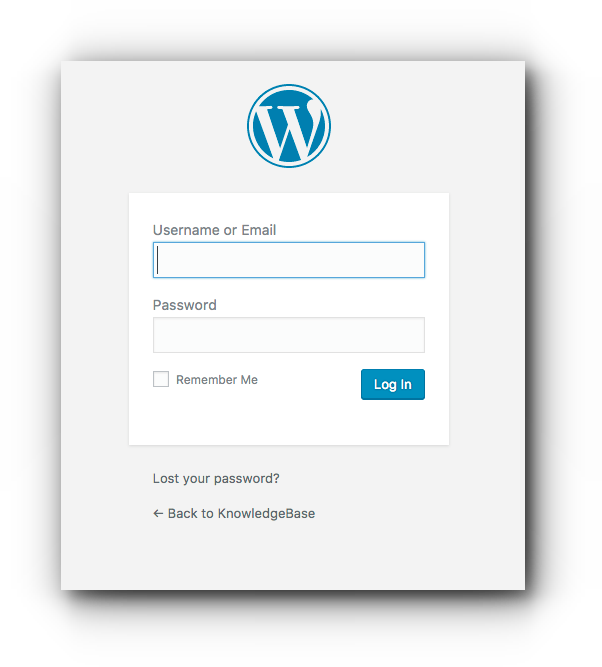 Access your WordPress website. You will be prompted with the Database Update Required page. 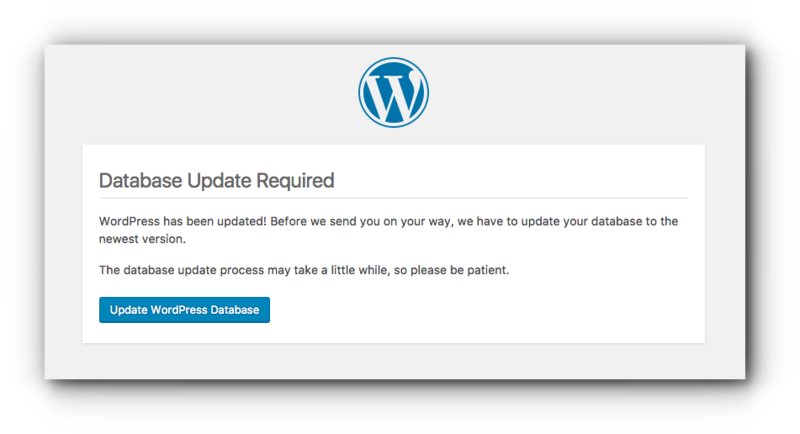 Click “Update WordPress Database” button. Step 9. Once the update is complete, click “Continue”. Step 10. You will see more information about the WordPress version.